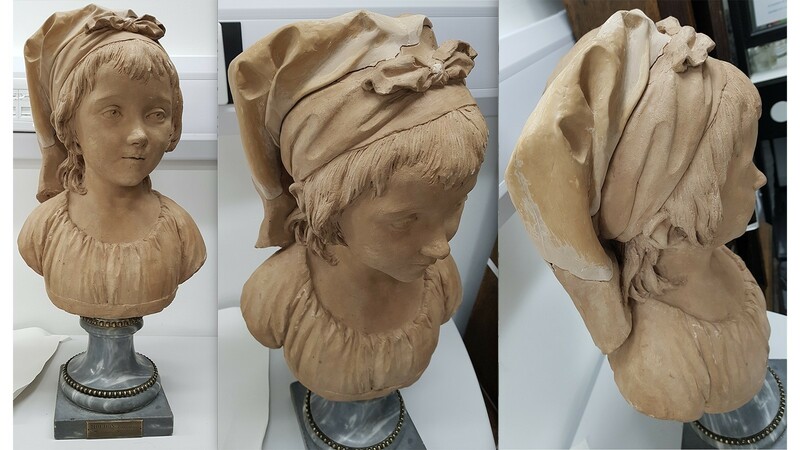 Terracotta bust of a child, reputedly Anne-Adélaïde Lignereux (approx. 1787) with marble and brass socle. 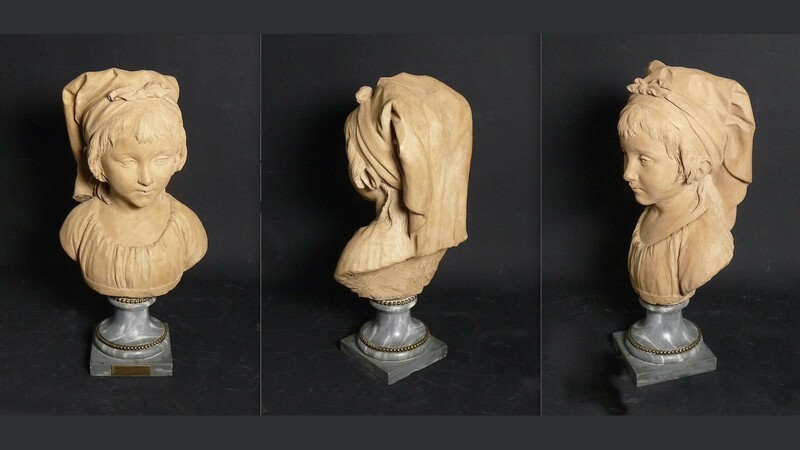 Modelled by Jean-Antoine Houdon (1741-1828). The bust was missing a large portion of the top left area of its headdress, as well as smaller sections on the bow, back of the dress, and left shoulder, with several tiny chips on the neckline of the dress and hair. The missing pieces were not provided with the bust. In addition, there were several areas on the hair where a foreign material (possibly paint) was adhered to the surface of the terracotta. 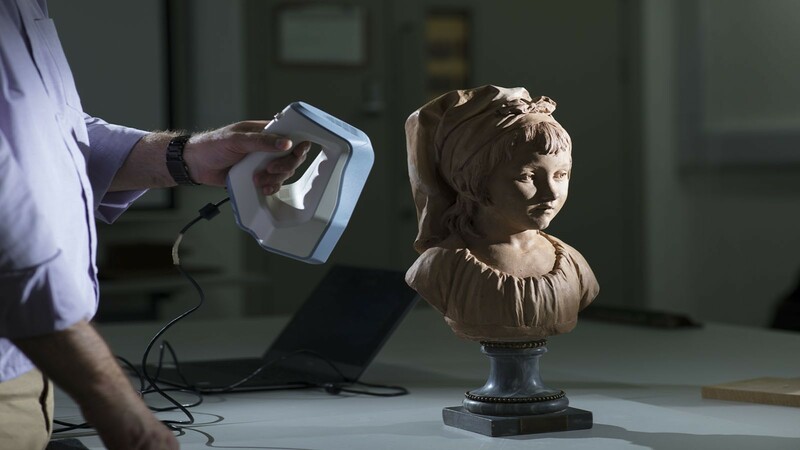 As the terracotta was fragile and easily discoloured by handling, a decision was made to scan it and produce a 3D-printed plastic model, which could be used as a surrogate to sculpt the replacement sections required before adhering them to the original bust. In this way, the restoration could proceed with minimal handling and risk to the original object. 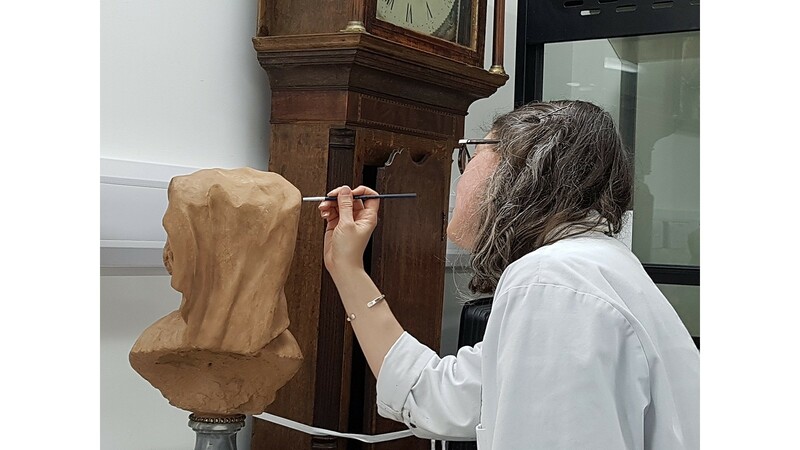 The larger replacement pieces were all modelled in wax, from which moulds were made, and the replacements cast in Crystacal R plaster, tinted with earth pigments to more closely match the colour of the terracotta. 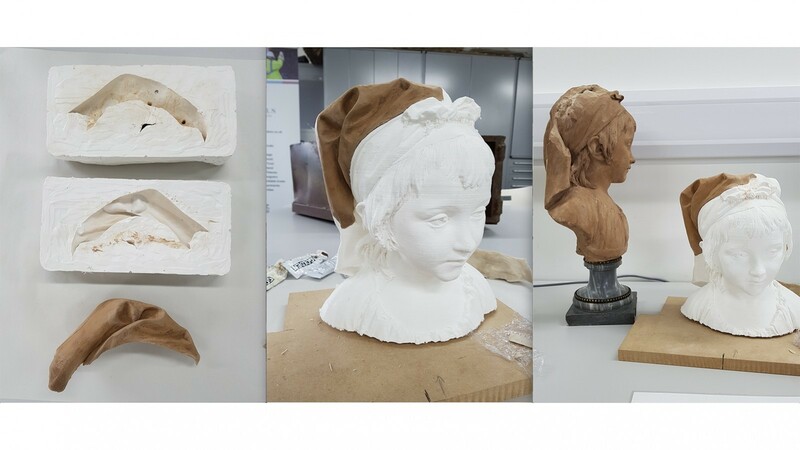 Areas of these that would be in contact with the bust were coated with a 5% solution of Paraloid B72 adhesive, to reduce the movement of moisture between the plaster and the terracotta. 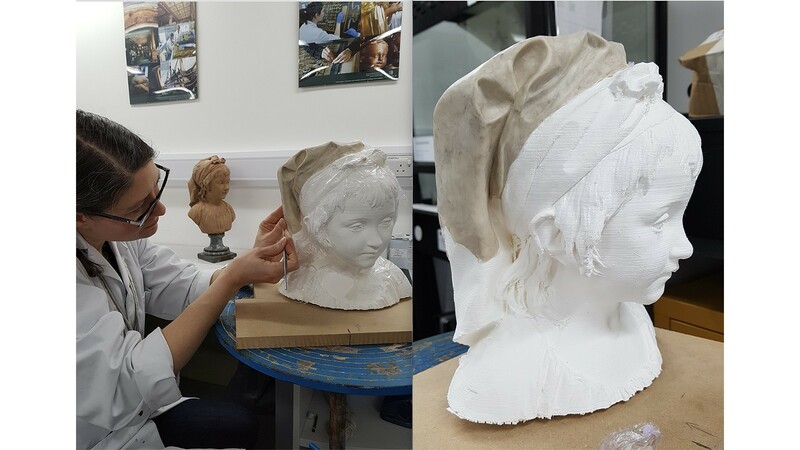 The replacement pieces were adhered to the original bust using Paraloid B72 adhesive, and any gaps between them and the edges of the terracotta filled accordingly and tinted with acrylic paints. All the replacement pieces and fills were retouched with a mix of acrylic paints and restoration glaze to match the colour and patina of the original. 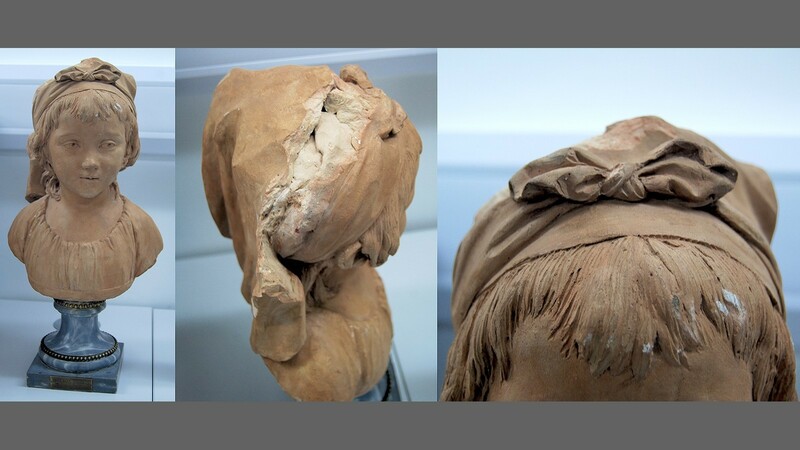 The majority of the foreign material adhered to the surface of the terracotta around the hair was removed manually using a scalpel under magnification, and any remaining residues were removed with Groomstick dry-cleaning putty.